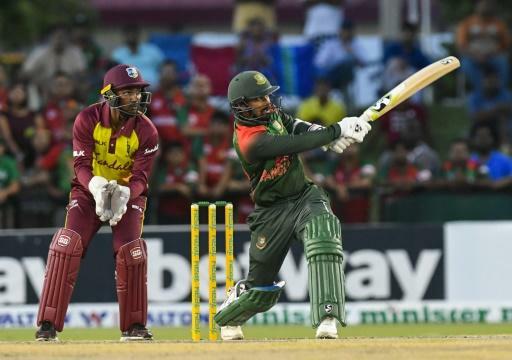 Bangladesh withstood a withering assault from Andre Russell to complete a series-clinching 19-run victory on the DLS Method over the West Indies in the rain-affected deciding final fixture of their three-match T20 International Series on Sunday. 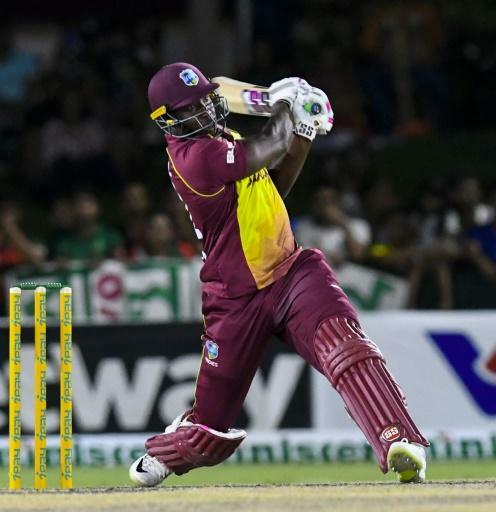 Russell smashed 47 off just 21 deliveries with six towering sixes and one four to keep the Caribbean side in with a chance of surpassing Bangladesh?s formidable total of 184 for five at the Central Broward Stadium in Florida. Russell?s departure at 135 for seven off 17.1 overs was immediately followed by a sharp shower which ended any further prospect of play, although there was little chance of the West Indies getting anywhere close to the target off a full 20 overs with all their big-hitters gone. He stole the show from his more experienced and prolific opening partner, Tamim Iqbal, in an opening stand of 61 off just 4.4 overs. Along the way the pair registered the fastest-ever fifty by Bangladesh in T20 International cricket off only 21 deliveries as they tore into the spin of Samuel Badree and Ashley Nurse before also putting the pace of Russell to the sword. However an unbeaten 32 from Mahmudullah and an unbroken 38-run sixth-wicket stand with Ariful Haque ensured that Bangladesh got up to a competitive total. Walton and opening partner Andre Fletcher fell cheaply, as did the experienced Marlon Samuels, who was bowled by a shooter from Shakib. Wicketkeeper-batsman Denesh Ramdin put on 45 runs for the fourth wicket with all-rounder Rovman Powell but it was the arrival of Russell at the fall of Ramdin?s wicket which revived a flagging West Indies.